Now, we all have talents and limitations. Someone who isn't particularly good at math probably won't excel in a career in engineering. Similarly, an introvert isn't as likely to excel in sales as an extrovert. In the same way, the physical limitations of wheelchair users preclude certain jobs like plumbing and construction, careers which require a fair amount of agility and resiliency. Moreover, jobs that require you to stand frequently such as food service, hairdressing, and retail, also aren't realistic options in most cases. Thus, while unfortunate, this probably disqualifies a fair number of jobs right from the start. Aside from the demands of the job itself, another major reason why it's hard for people in wheelchairs to find jobs comes down to accessibility. The fact is many buildings still aren't wheelchair-accessible. And even if they've been modified to include wheelchair entrances and exits, there still might be challenges in other areas. For example, potholes, cracked sidewalks, or fallen branches can transform a relatively short distance from the parking lot to the building into an obstacle course for a wheelchair user. Not to mention having too little space to enter and exit adapted vehicles easily on each side. And because of the Rehabilitation Act of 1973, which requires all government agencies, companies with federal contracts, or any company that receives federal funding of any kind to be in compliance, government-related jobs should be given special consideration. If this sounds like something you'd be interested in, make sure to check out USAJobs.com. 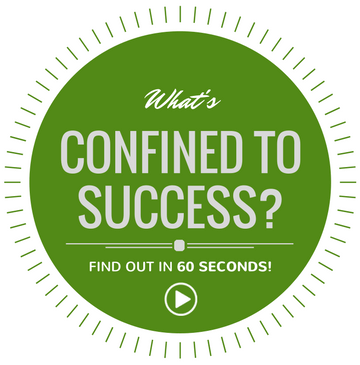 This is one field where being in a wheelchair can work to your advantage. Since you likely deal with physical limitations on a daily basis, you may have more understanding and sympathy toward others undergoing medical treatment. Moreover, medical offices and hospitals also provide state-of-the-art wheelchair accessible ramps, elevators, and bathrooms, which many other jobs don't. And if you can't work on-site, you may be able to telecommute for certain tasks like data entry. Each position offers a lot of opportunity for professional growth. Another option is work with pharmaceutical companies as a sales representative, but this is only viable for people with outgoing personalities and experience with certain medications. 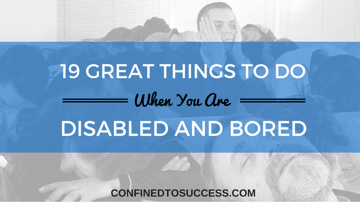 Many successful people in wheelchairs want to be able to share their experiences in a way that can benefit others. Vocational counseling is a great way to do this by helping people achieve their highest career potential. Vocational counselors work in schools and non-profit organizations as well as private industry. It's a field expected to grow, especially as more and more jobs get displaced by technology. The average salary for this career is $54,000. Virtually every business needs an accounting department to keep track of the bottom line. This is a field where you can either work for an accounting firm or go into business for yourself. The average salary for bookkeepers and accounting clerks as a company employee is $38,990 per year. Certified accountants and auditors, on the other hand, earn a very comfortable living with an annual average salary of $75,280. 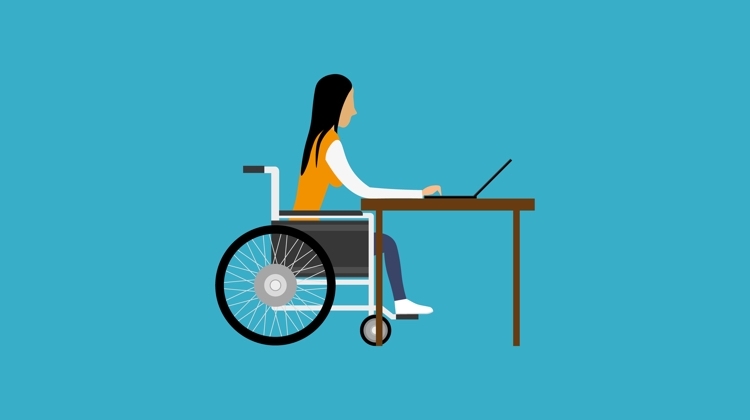 Not only is computer programming one of the best and most lucrative jobs for people in wheelchairs (average salary: $79,530), it's also a career expected to expand in coming years. In fact, many well-known companies, such as IBM, Lockheed Martin, and Merck participate in educational job training programs for students with disabilities such as Entry Point. The number of people who work from home has risen dramatically within the last decade. In 2003, only 19% of people earned at least part of their income working from home, which increased to 24% in 2015 according to the Bureau of Labor Statistics. And for those who work in finance and management, the percentage is even higher, ranging from 35% to 38%. Because the internet has made remote work possible, 68% of workers in the U.S. expect to work from home at least part of the time in the future. And based on the large number of reputable companies who've already come on board with the idea, it seems the trend is likely to continue. The fields of sales, education, training, and customer service all offer telecommuting positions. As my personal favorite, the amount of money you can make in this field is only limited by your ambition. 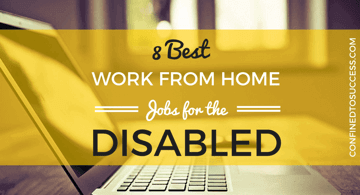 In fact, Disabled-World.com lists affiliate marketing as one of the great online career choices for people with disabilities. Essentially, an affiliate marketer is someone who partners up with a company to promote their products and services in exchange for a percentage of sales made through a personal "affiliate link." The way you attract visitors to click on these links and buy products is either through paid advertising or your own website using educational or entertaining content. Best of all, you're not the one responsible for storing, packaging, shipping, and returns — the company is. But while affiliate marketing takes very little money to get going (unlike the startup costs of most traditional businesses), it does take a lot of persistence before you start to reap the (many) rewards. Feel like giving it a shot? Let me take you by the hand and show you how it's done! As the online job market continues to grow, more opportunities will open up for people in wheelchairs. Government, technology, and education are just a few sectors where progress is already being made. But even now, there are plenty of jobs available that offer career satisfaction and financial success so long as you take the time to look for them. 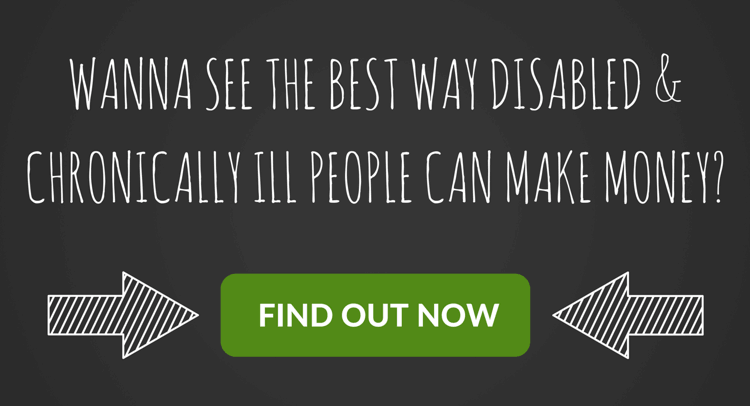 What experiences have you had in the workplace as a wheelchair user? Can you think of any other jobs for people in wheelchairs not already mentioned above? Leave your comments below! Great article, thank you for telling it. I have a little story to add here myself. I am a Recruitment Consultant and I put forward a candidate for a role, but I didn’t know that the company didn’t have any disabled toilets in the location the person was to be working at. YIKES! In this day and age, I just naturally assumed that it was “taken care of”, but it hadn’t been. Anyway, the candidate had to connect with a voluntary service that took portable disabled toilets to various workplaces. This then enabled the employer to offer the candidate the role and they could become the next employee. This story ended well, but this is 2017, we need to do better than this! I am glad websites like this exist so that people in wheelchairs know that there are positive options out there in the world and that they can have a wonderful working career too. You have presented to us a compelling story in which I will certainly think differently about the issue of wheelchairs and trying to make a living. The options you give are certainly worth attention, but as you laid out the challenges these people face, it just clicked in my mind about affiliate marketing. And there it was, your conclusion. 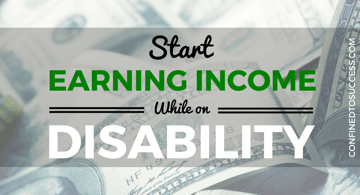 Affiliate Marketing and especially Wealthy Affiliate is the perfect “job” for the wheelchair bound. Access to a computer and a willingness to learn are the job requirements. Well done, Stephan! I think it’s a fantastic idea to promote opportunity for people in wheelchairs. It’s critical that everyone in the community is offered employment as this is a key factor of economic growth. A diverse workforce is also important to embedding positive community values and I’ve found that your website offers information on how to do this. Great site with great ideals.